A Playful And Relaxed Family Home That's Bound To Put a Smile On Your face! Thursday totally calls for a little colour, don't you think? After all - we need to start gearing up for the weekend - only one day away friends, one day away! PHEW! 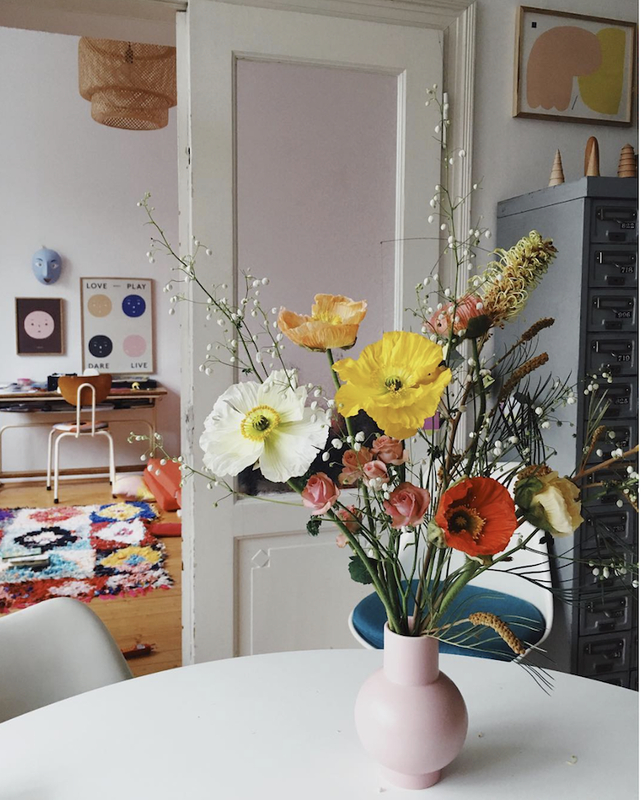 I can't think of a better way to get into the spirit than by taking a peek inside the wonderful home of Ulrike Lea who goes by the hashtag #coloursaremytherapy. 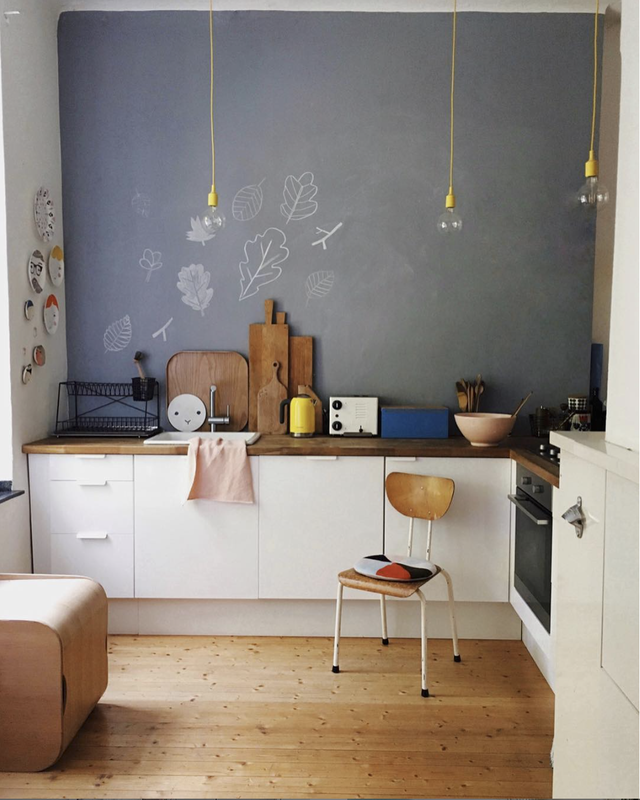 Ulrike, who describes herself as an 'interior design lover, cyclist, crafter, Mamma and nature addict' has decorated her lovely home in Aix La Chapelle, Germany using a mainly neutral backdrop and then add splashes of primary hues in the form of furniture, accessories, ceramics, art and flowers. The look is playful and relaxed - and offers great inspiration to anyone looking to add cheerful tones without going all out! Tulip chairs* and table*, source a vintage filing cabinet here*. 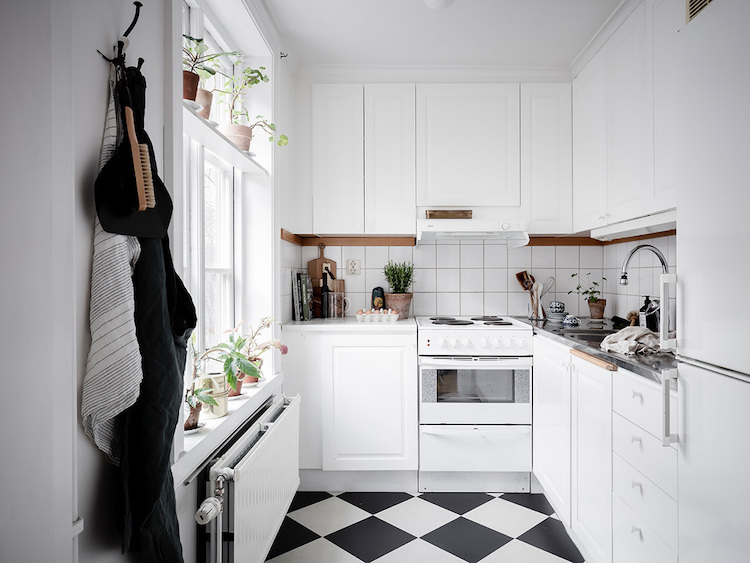 One of the key kitchen trends this season is to do away with upper cabinets (not entirely practical if you have a small kitchen, I know! But Ulrike gets away with it beautifully in this space). 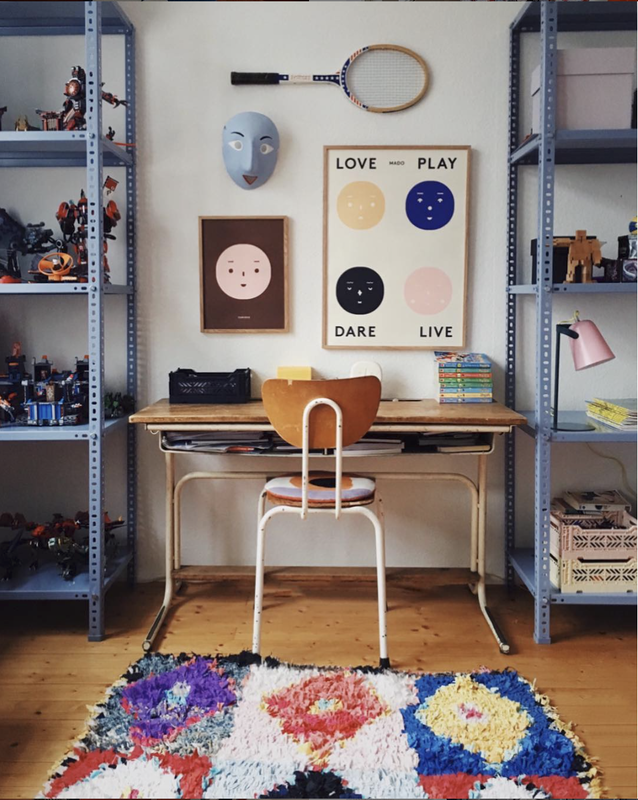 This is a great source for boucheroute rugs*, pick up a vintage school chair here*, Love x Play poster from Odot studio. Source a vintage wooden racket here* (or just look in my Mum and dad's upstairs cupboard in London and you're bound to find a whole selection complete with towelling grips - John McEnroe style!!). My home suddenly feels so serious. 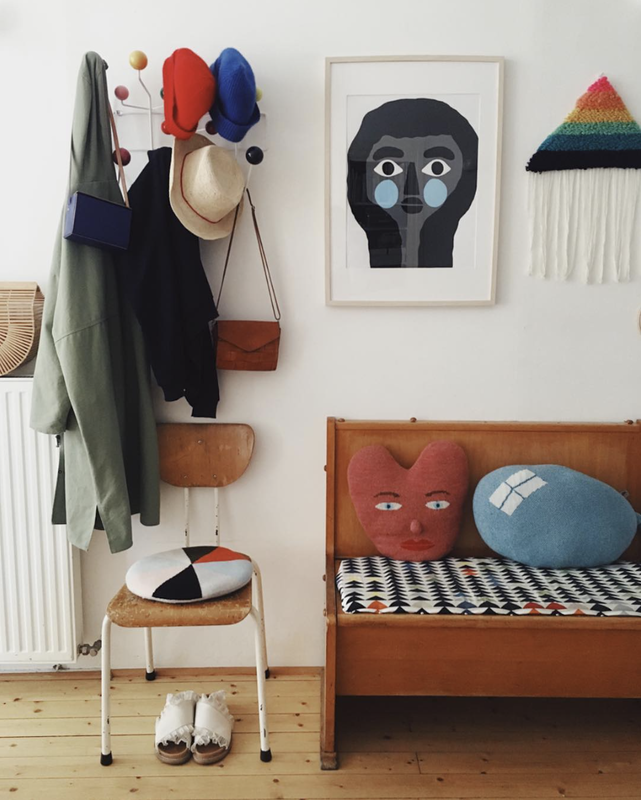 I might just head on over to the websites of some of the artist's featured in Ulrike's home! So many fabulous ones here, and I've tried to name as many as I could! 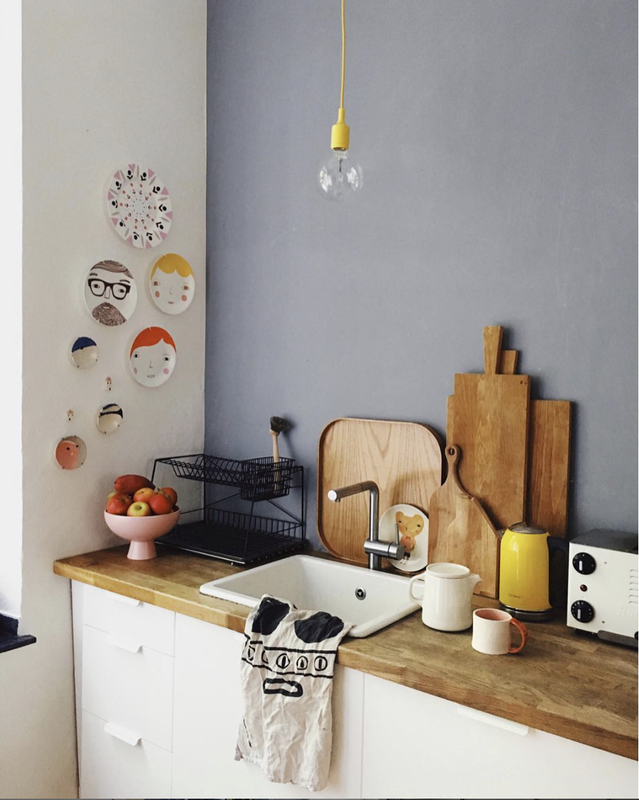 Has this home inspired you too? PS I'm writing this post in the Malmö IKEA store restaurant having used my 'family card' to buy a great big semla (swedish easter bun-type thing) and a coffee (bargain!). It's surprisingly calm in here (I DEFINITELY wouldn't do the same at the IKEA on London's North circular!!). I'm working from a little cafe by the sea this morning and the water is sparkling like diamonds. I can't tell you how wonderful it is to feel the warmth of the sun on my skin again! 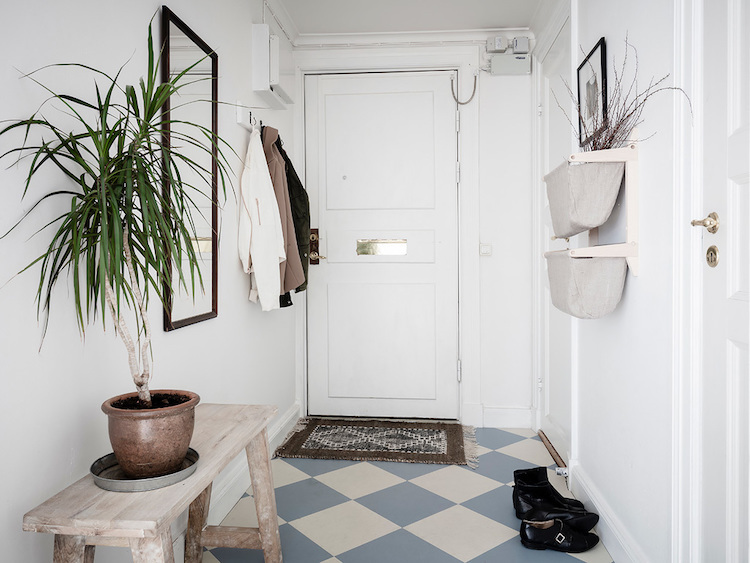 Spring is also in the air in this idyllic little apartment in Haga, Gothenburg. The wooden house is over 160 years old and still bears many original features including two lovely tiled stoves, wood floorboards and architraving. 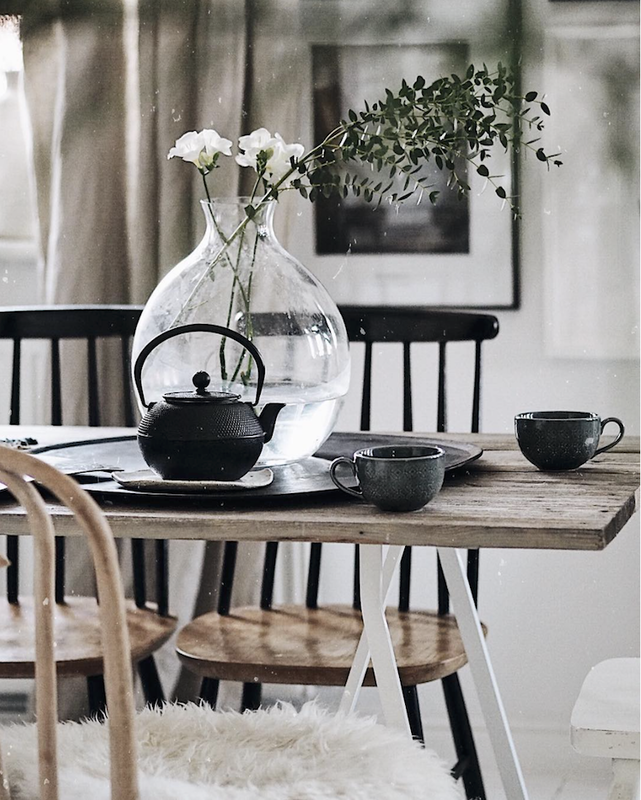 I particularly love the idea of sitting at the table by the window and looking out over the picturesque courtyard with a coffee right now, how about you?! 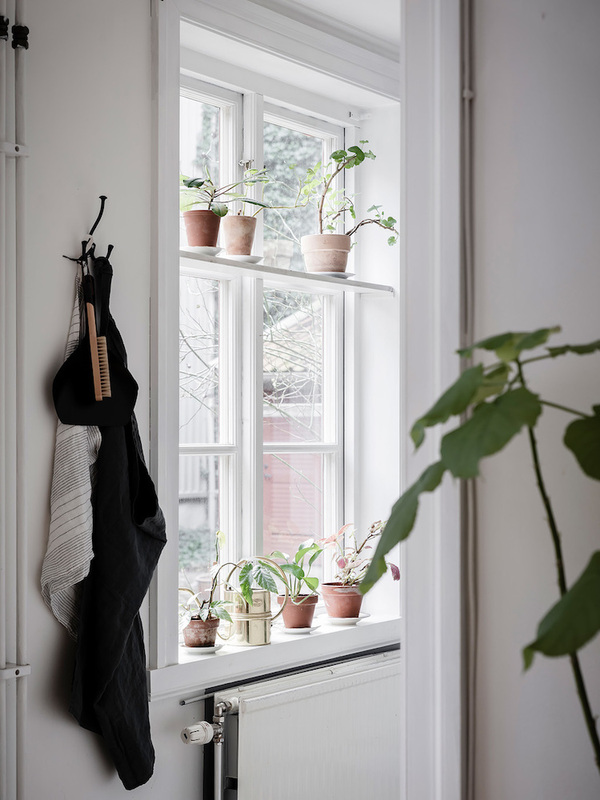 I really like the idea of placing a shelf across the middle of a window for plants. I might do this in our summer cottage kitchen! Have you done this anywhere in your home? 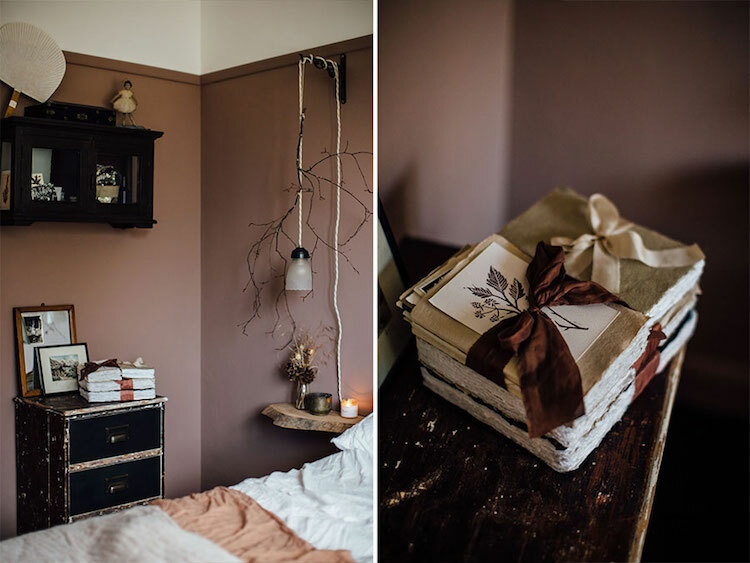 The wooden cabinet adds a lovely romantic touch to the bedroom. 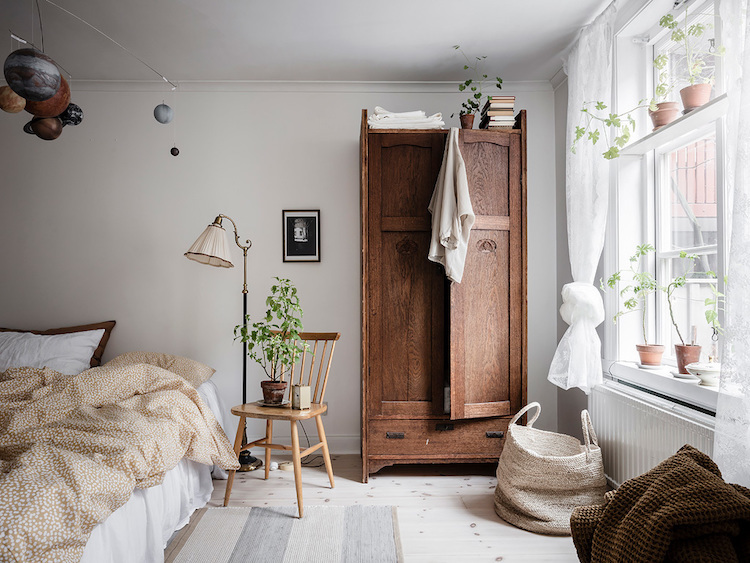 It's almost worth decluttering the wardrobe so you could down size to a unit like this - or perhaps create an overflow somewhere else in the home (Marie Kondo need never know!). This solar system mobile seem to be popping up everywhere right now. Are you a fan? If so - you'll be happy to hear it's available here*. How pretty is this courtyard? Just outside the muse gates are a load of little cafes, restaurants and boutique shops. I think this is my dream 'city' apartment. It's like a total oasis and just so pretty and full of light. I've always dreamed of living in a London Mews - but perhaps this is the way to go?! Slight problem with space - with one bedroom. Hmmm. Is it OK to an acquire a 'mammas escape'?! Perhaps we could do a time share?! Could you imagine living here too?! 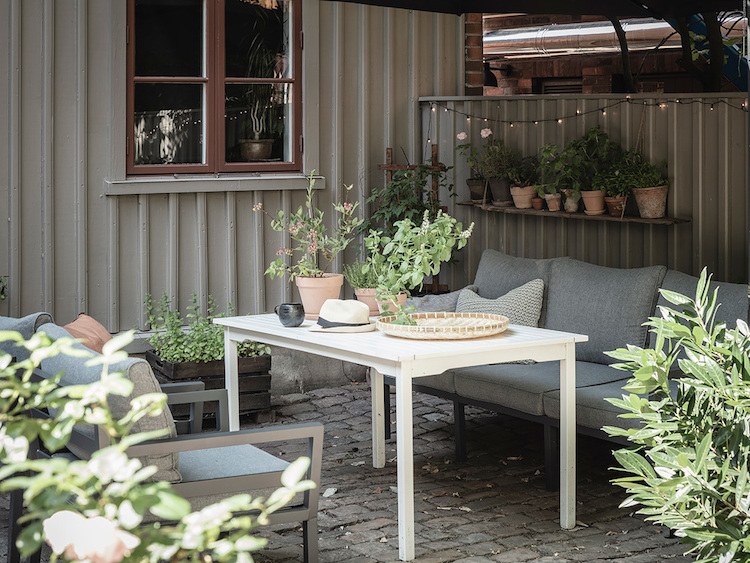 For more pretty Swedish homes to feel inspired by today, take a peek at an idyllic Swedish cottage (and funky pink caravan! 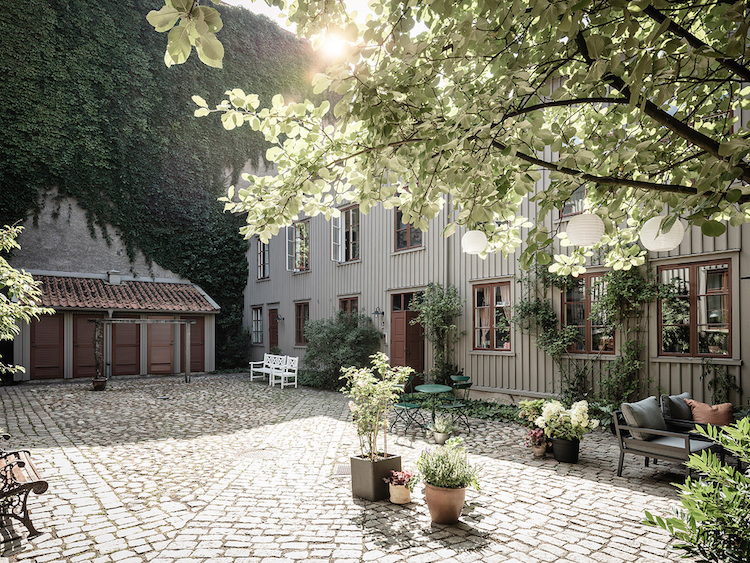 ), a fisherman's cottage on Sweden's West Coast and a charming 19th century house on Gotland. PS I've teamed up with a small local family run Malmö design firm to offer your the chance to win two lovely wool trivets over on instagram today. 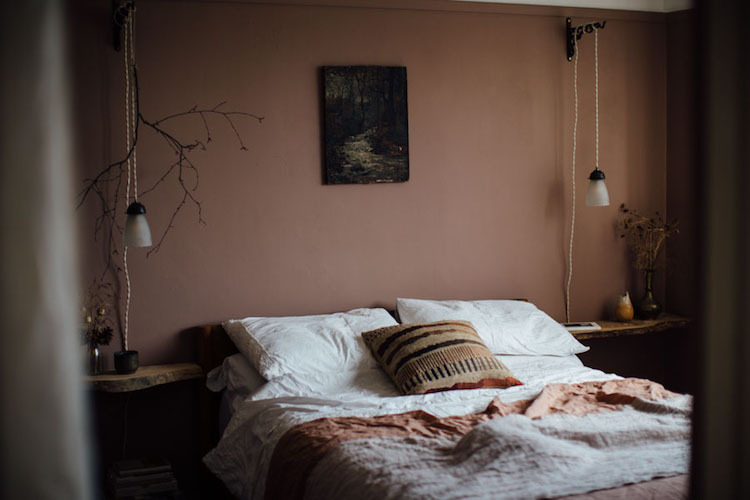 Duvet Day In This Cosy 'Forever Autumn' Bedroom? 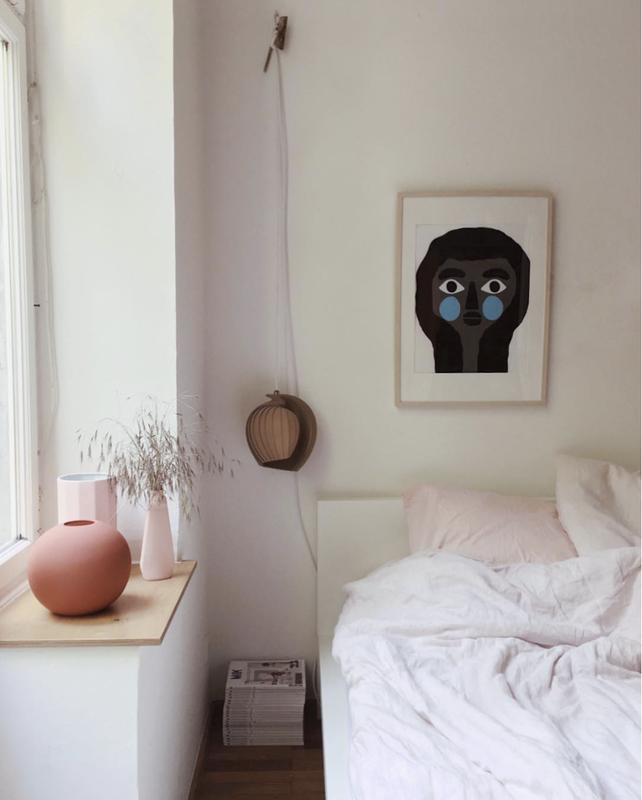 The walls in my bedroom were white for years (take a peek here) and it always felt so fresh and light. 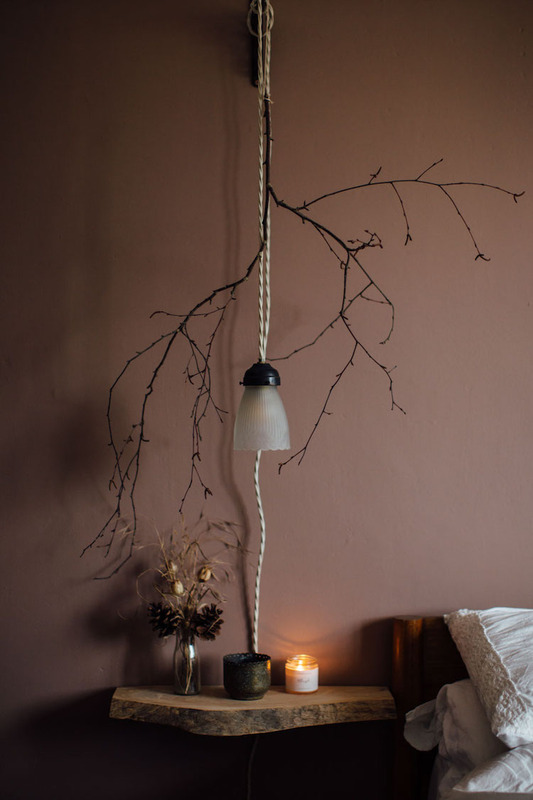 But it's only when I painted the back wall in a 'blushing peach' hue that I realised the power of colour - and how much more cosy a room feels with slightly darker, warm tones (I'm sure you've seen it, but just in case, there's a tour of it here). It's funny how that can happen don't you think? 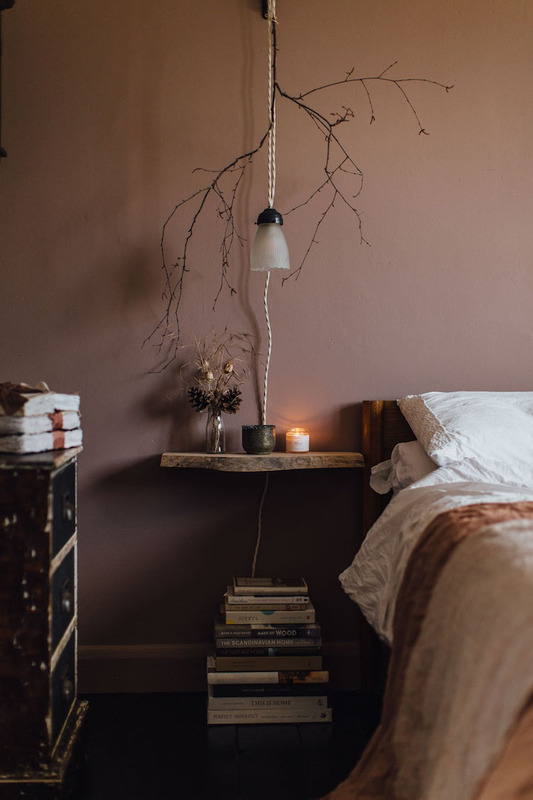 Yesterday I came across a tour of this beautiful bedroom belonging to Jeska Herne of Lobster & Swan and it reminds me so much of the colour in my bedroom - except she's gone all out. 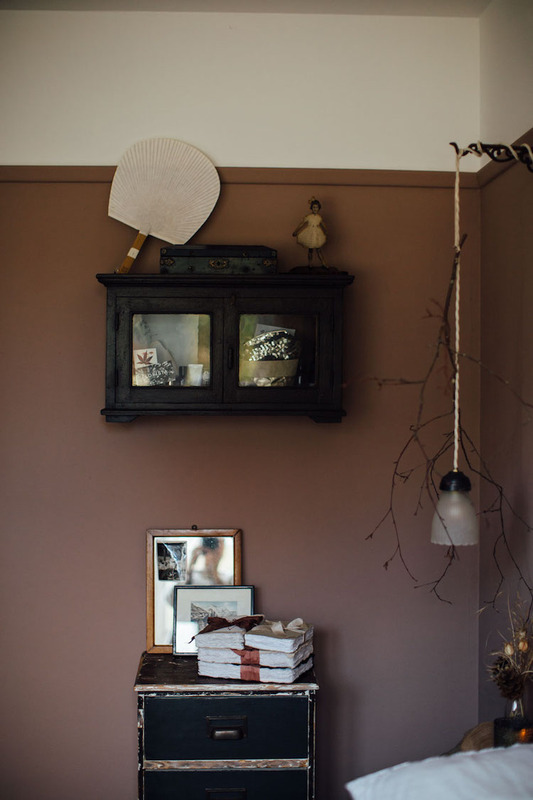 All four walls and the radiator have been painted in Warm Mud Brown by Cassandra Ellis. 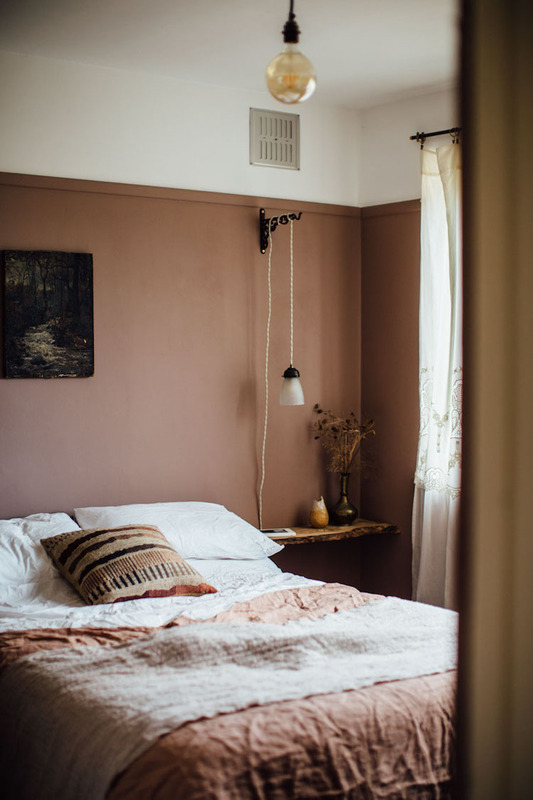 The result is a bedroom with a calm yet inviting 'forever autumn' feel and a warm, relaxed vibe. Oh my word - while searching this picture for details to write about I spotted my very own book 'The Scandinavian Home' - what an honour! Thank you Jeska! 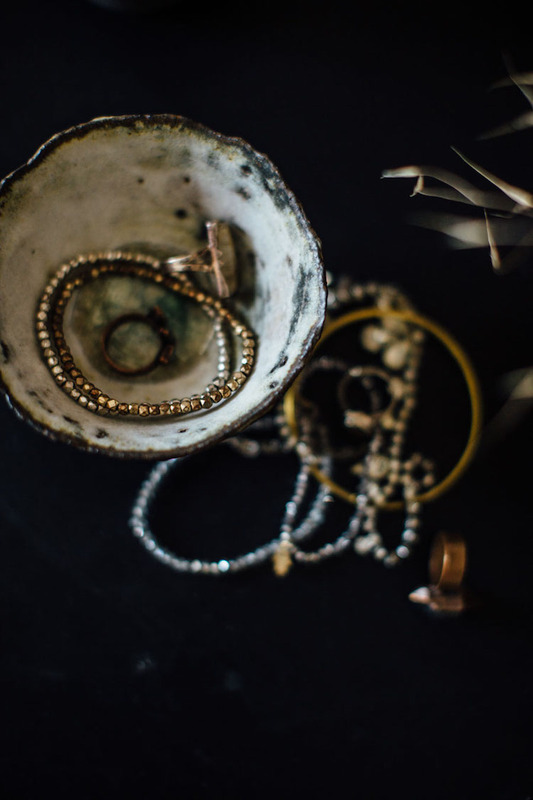 The pair are a big fan of antiques and many of the pieces have been collected on their travels to places like India. They also like to shop for fair-trade antiques at Ian Snow. When it comes to DIY, Jeska and Dean are on a whole other level (their garden retreat which they created on a shoe-string budget is a fine example of this!). Dean made the bedside shelves in this room and Jeska pieced the lights together with various items collected over time. You can find similar pretty vintage lights like this on Etsy* (I particularly love this hand cut glass lamp* and art deco vintage lamp* but you'd need to be super quick, there's only one of each!). 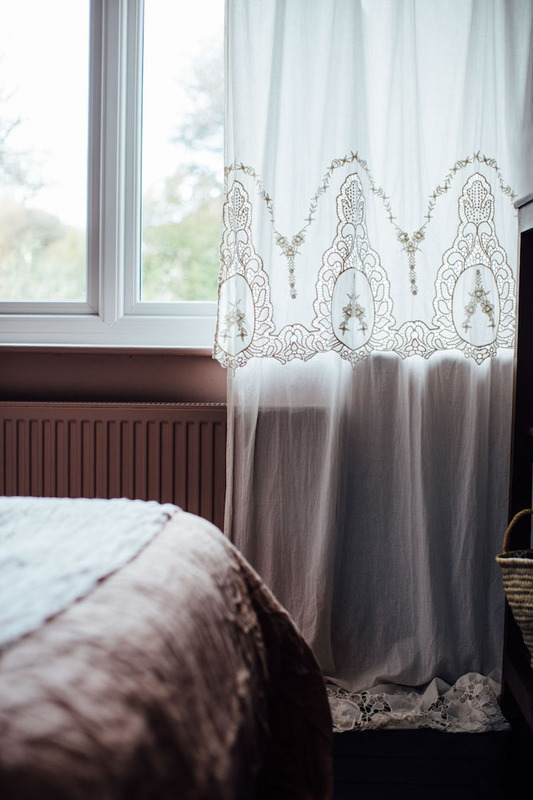 Sheer lace curtains (source similar here*) slip in a soft pool of filtered light giving a calm feel to the space and glass cabinets provide a place to store magazines and bed linen while keeping them dust free. 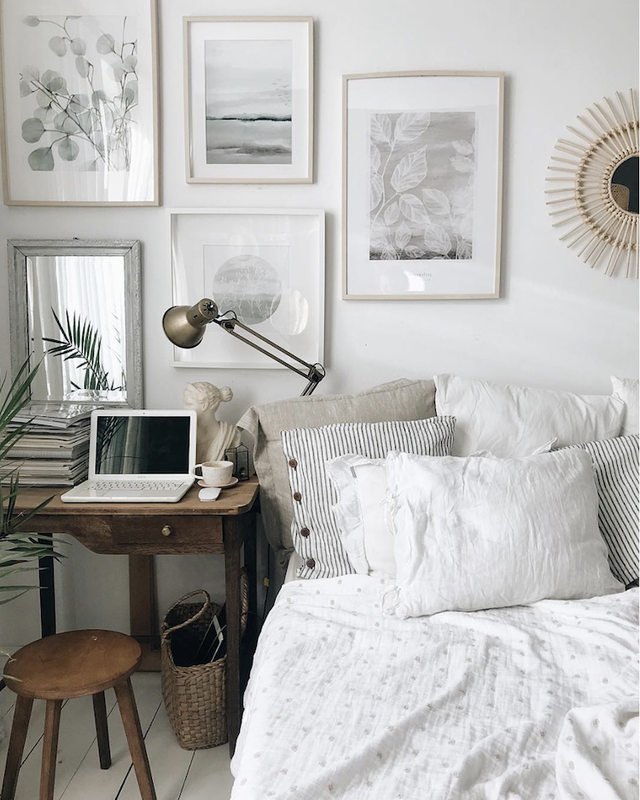 Layers of linen complete the relaxed feel of the space (I love the look of this linen bedding*!). The picture above the bed is vintage. 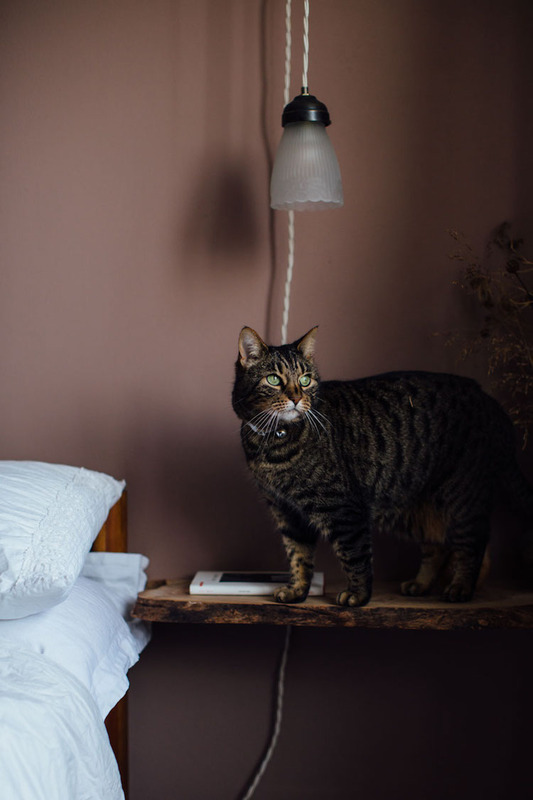 It seems like Jeska and Dean's cat Marlo looks totally at home in their new bedroom - and who can blame him? 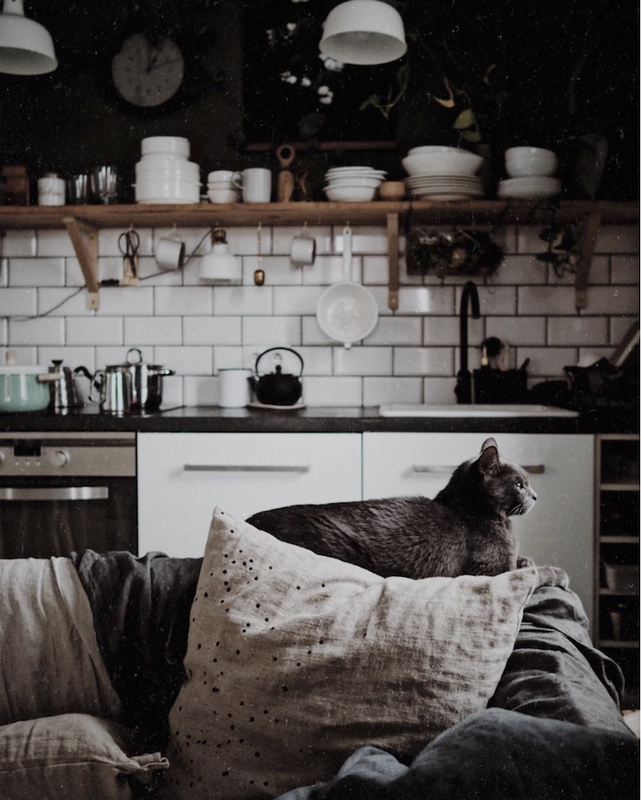 Is it me or have feline friends been stealing the show in home tours lately? 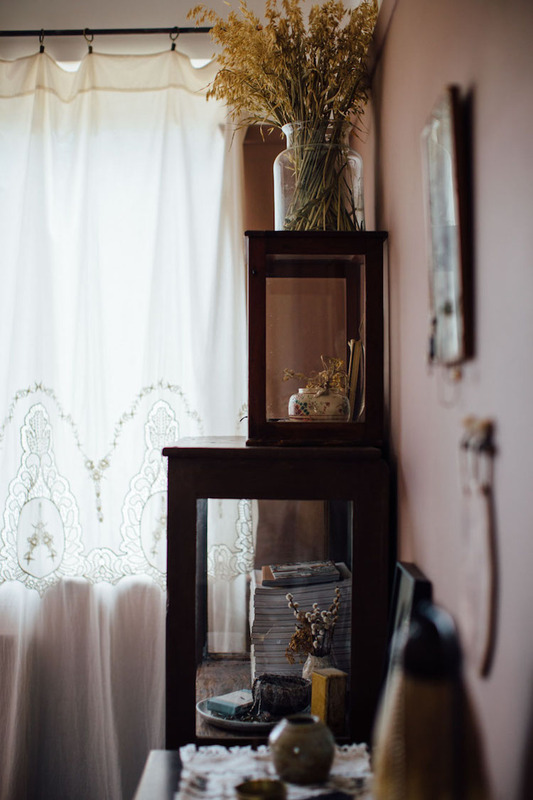 Just look at yesterday's home and Audrey Rivet's lovely apartment! Are you a cat person? I grew up with rescue cats and my husband and I used to have a cat called Fredrik-Bo. He was a real character - he used to go to the local cafe and eat muffins. He was really charming when he wanted to be (namely when he wanted a muffin!) but was also massively vicious, to the extent that we had to run passed him when he wasn't looking for fear of being attacked!! Needless to say, my husband has vetoed ever getting a cat again. Bah! I miss them purring away while curled up on my lap and climbing over my keyboard as I type! 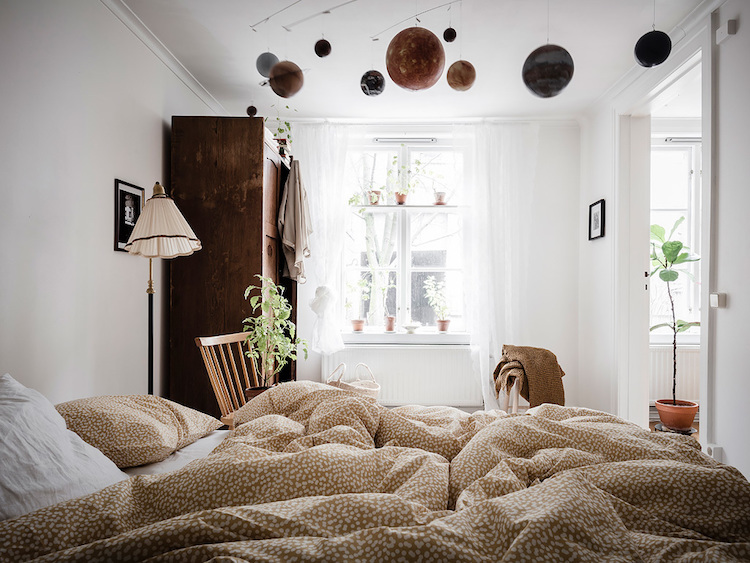 Back to this bedroom though - could you imagine spending a duvet day here? 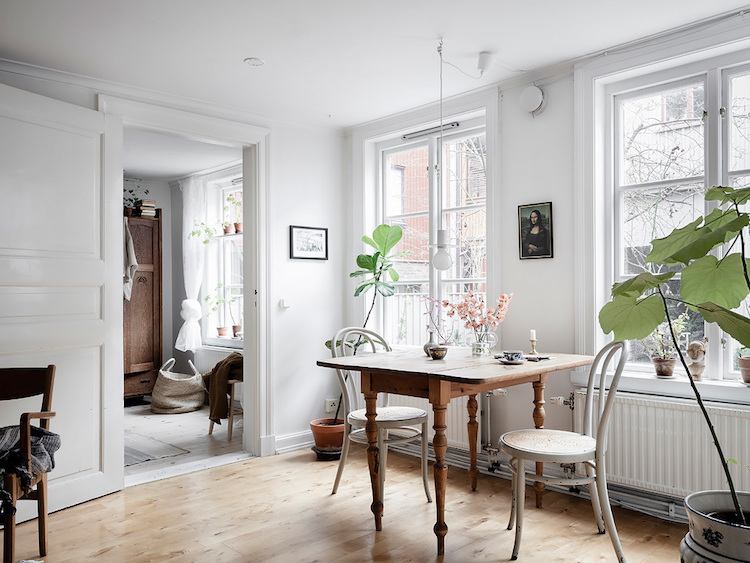 There's something so calm about it and it makes me feel really nostalgic - it reminds me a little of my grandmother's home on the South Coast of England, which was really lovely! Oh and if you love the look of the Cassandra Ellis paint - Jeska's holding a very exciting give-away to win 10 litres of it on her blog here! Hurrah! PS Only three days to go before the launch of my online interior design service - scary Mary! There's only a couple of spaces left for the big discount - thank you so much to everyone who has signed up so far! 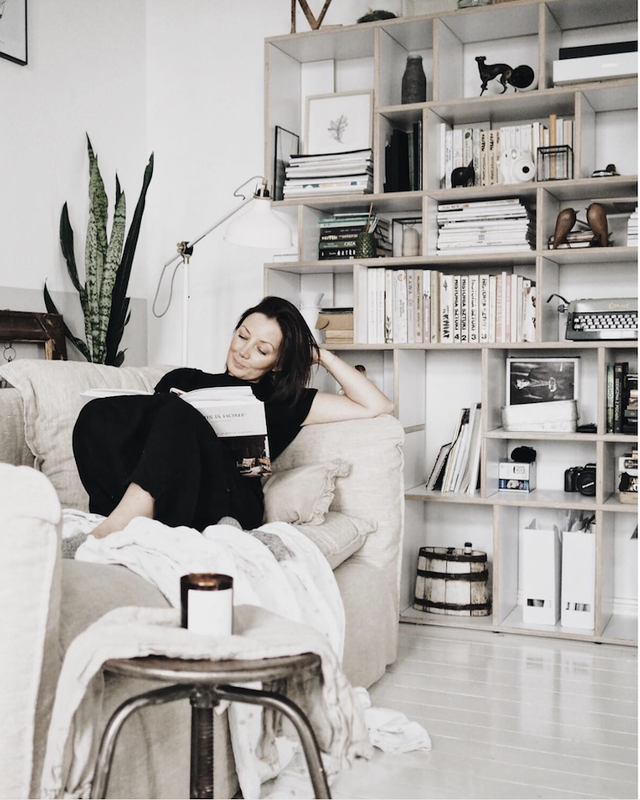 If you'd like to be one of the first twenty to get help re-designing a room in your home from the My Scandinavian Home Studio team just send me a mail and I'll add you to the list and notify you as soon as it launches! Hej hej! How are you?! We had such a wonderful time in the Alps (I can highly recommend Obergurgl in Austria if you love skiing!) - and now we're back it feels like spring is in the air in Sweden - woohoo! (although I'm not going to get my hopes up just yet). I hope you've had a great week too! I'm excited to get cracking with my daily posts again and thought I'd kick off with a very special home. 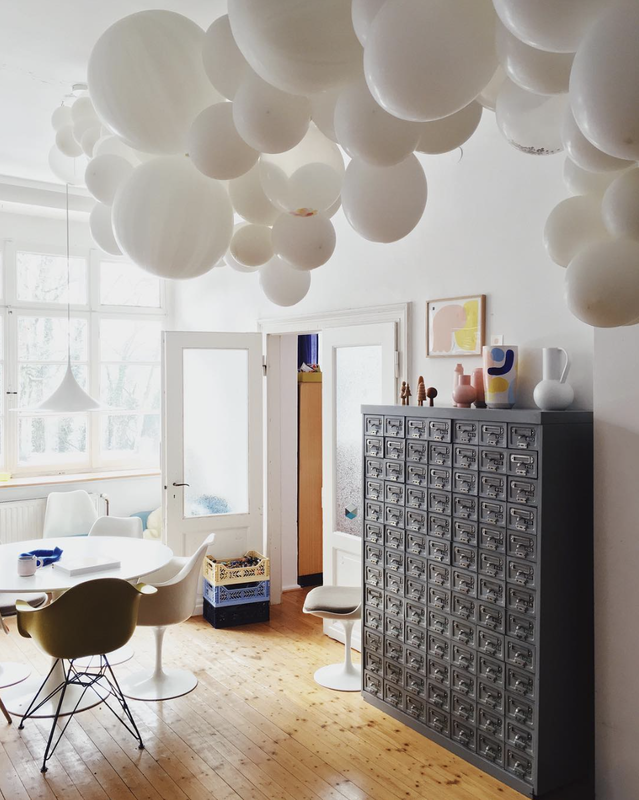 This lovely, relaxed apartment belongs to Polish artist Margo Hupert - and doubles up as a living space and creative studio. 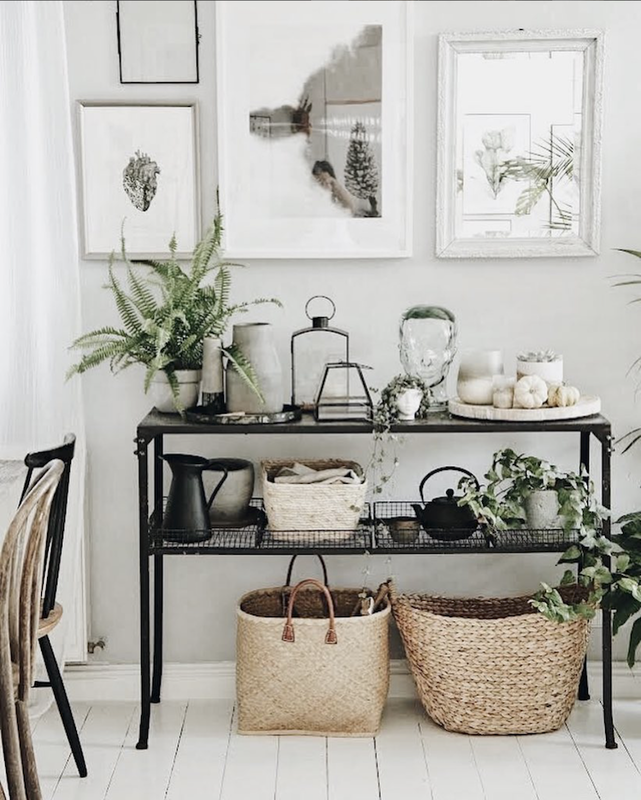 Think white floors, art (including some of Margo's own nature inspired pieces), interesting trinkets, plants, vintage finds and the cutest furry friends. Step this way for the tour! 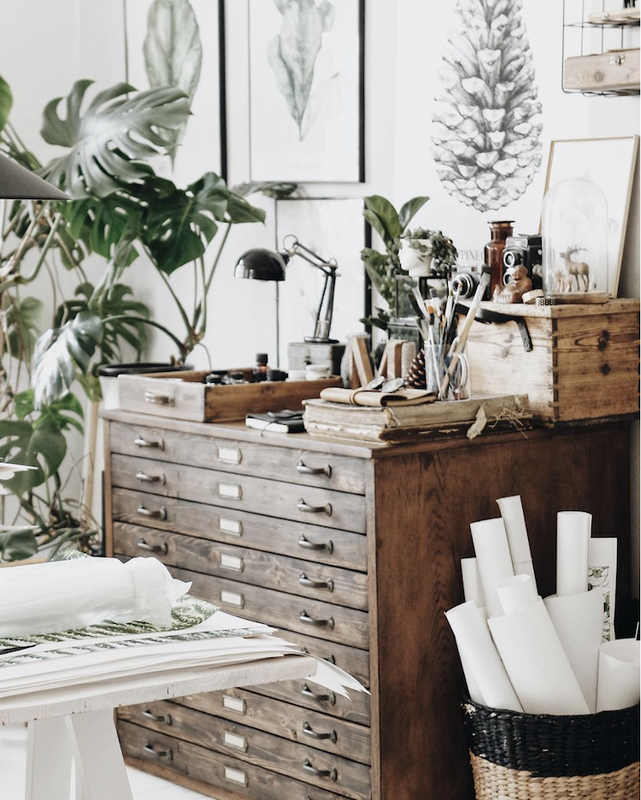 Just how lovely is that vintage filing cabinet / plan chest? I did a little search and found similar ones here*. Margo makes use of light from her window to sketch. 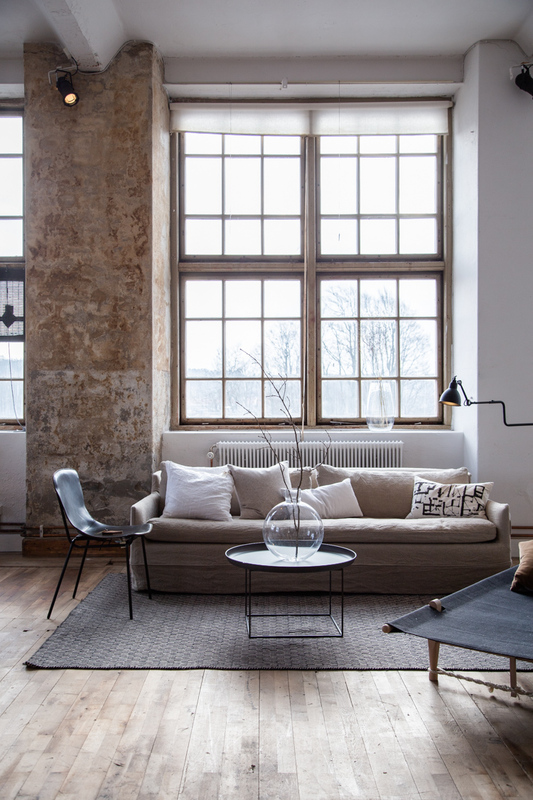 The sitting room area occupies the same space (try the Söderhamn sofa with a Bemz Urban Loose Fit cover for a similar look). The shelves are from Tylko. 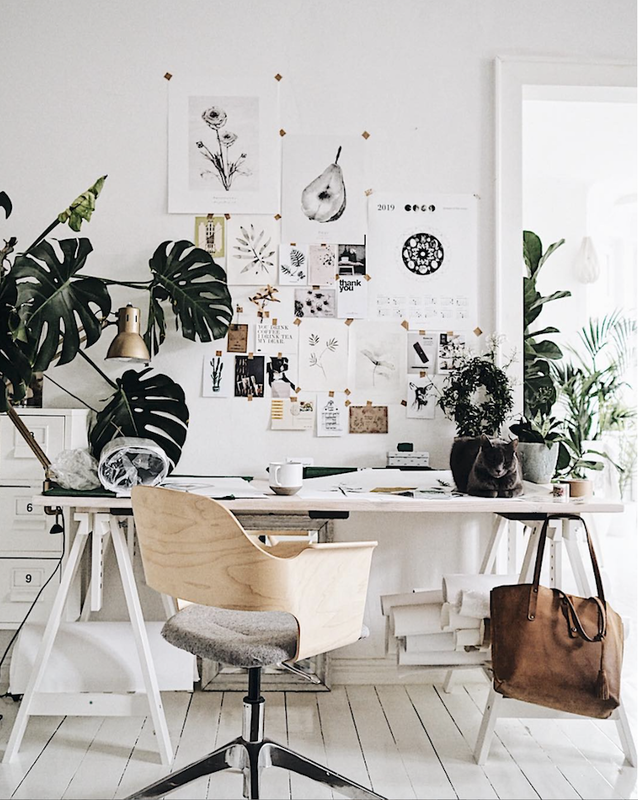 Source a similar vintage industrial stool here*. That cat looks like he might have spotted something out of the window (my money's on a bird?!). 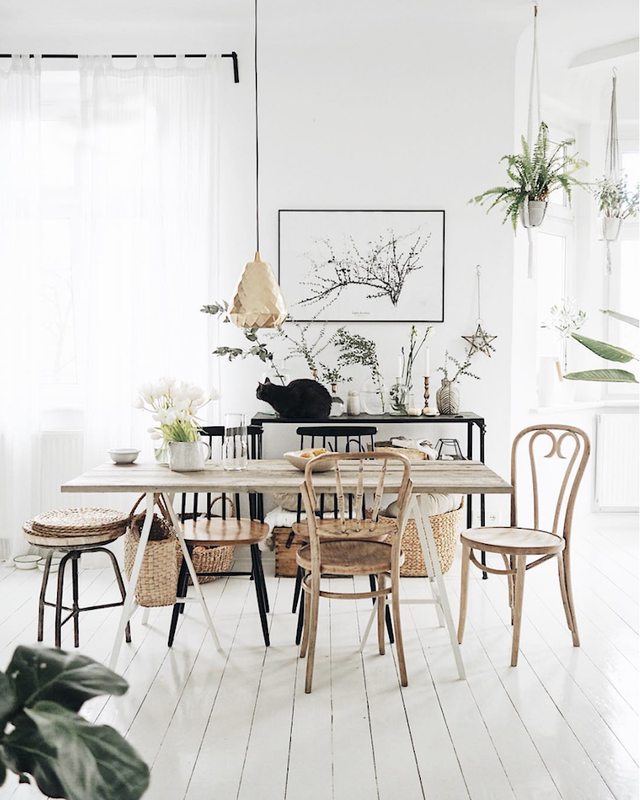 My eyes are on the beautiful dining space full of one-off pieces, natural materials and plants. Just lovely! Still gazing out of that window, huh?! How lovely! There's just so much warmth oozing from this home, don't you think? 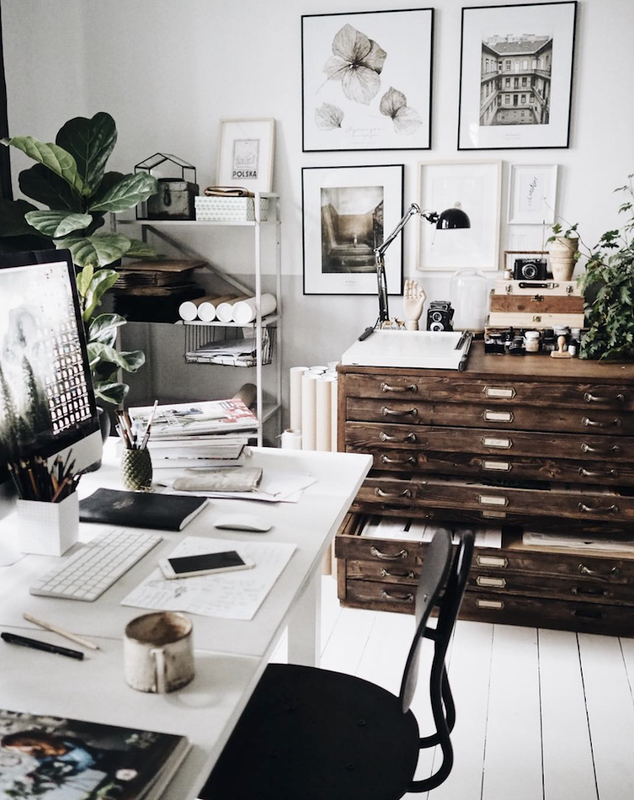 It's a perfect place to get creative too - there's so much light! Source Margo's art here and see more pictures of her lovely home here. Would you like to take a peek at more artist's homes today? I can't think of a better way to spend a Monday, can you?! Certainly eases the pain! 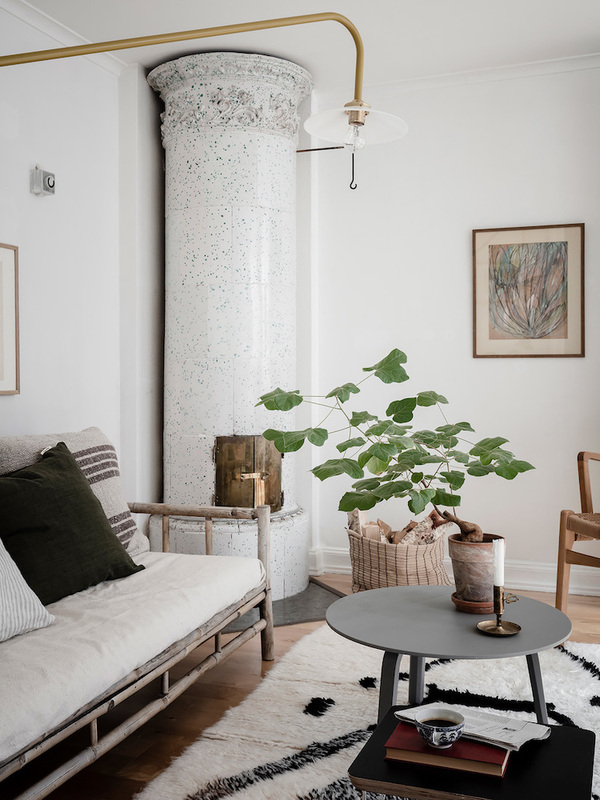 Here are a few of my favourites: a fabulous vintage inspired loft in a former textile factory, the lovely home of a Danish artist and an artist's studio and home in Stockholm. Time to pour a coffee! 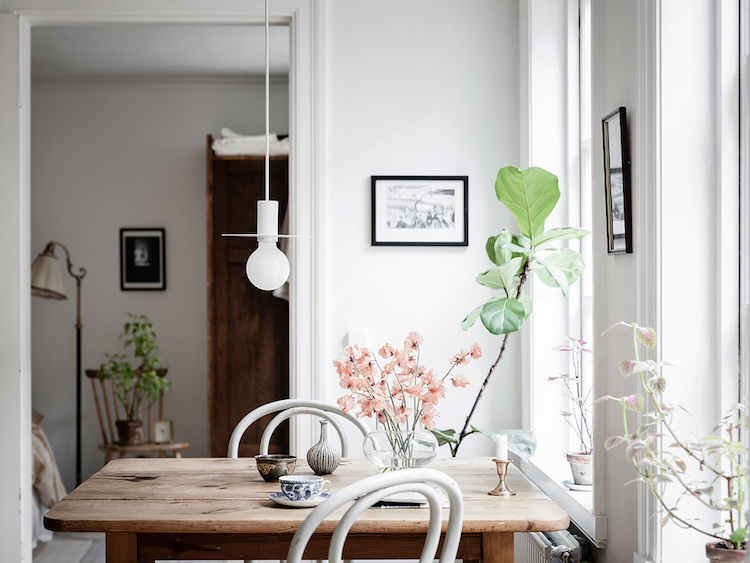 PS In case you missed it, the My Scandinavian Home online interior design service launches this Friday - weeee! So exciting (and of course a little nerve-racking too!). Thank you so much for the overwhelmingly positive response, you've made my week! By way of thank you, I'd like to offer the first 20 people to sign-up a very big discount (200 euros instead of 300 euros) on a room design! If you'd love to be one of the first please send me a mail and I'll reply with a discount code and notify you as soon as the service launches. A Present From Me To You: A Special Discount On Your New Room Design! Tjena! 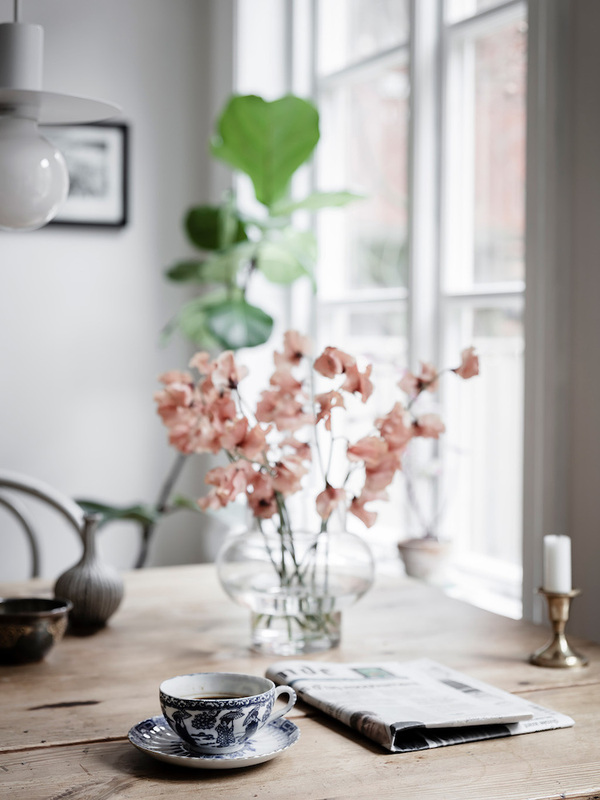 Thank you so much for the hugely positive response to the new My Scandinavian Home Studio online interior design service! I've been smiling all week! 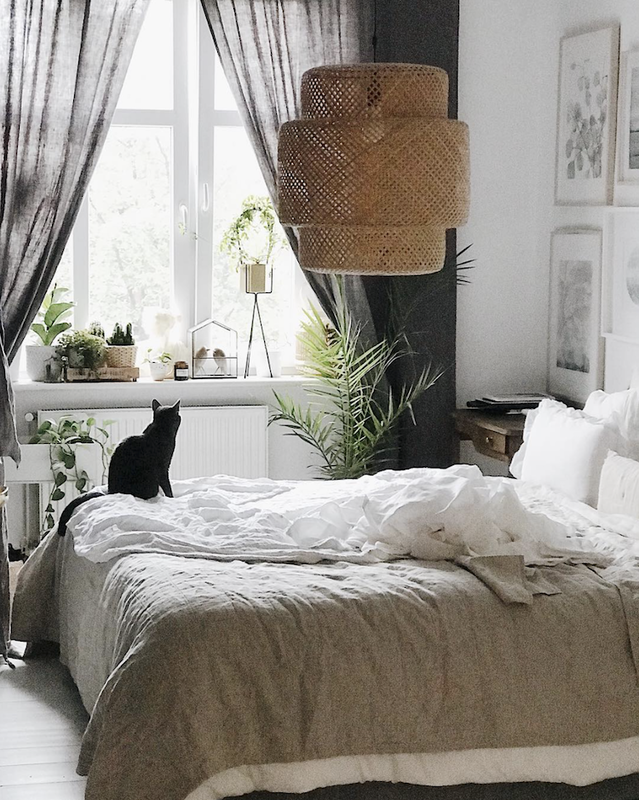 I loved hearing about which room you would like to re-design and why in the previous post as well as on Instagram and Facebook. We now have two sterling testers: Jodie Sperling and Nina Pethers! Don't worry if that's not you! To celebrate the launch this Friday (1st March) we're thrilled to offer the first twenty people to sign up to a new room design a third off the usual rate (i.e. 200 euros instead of 300 euros). 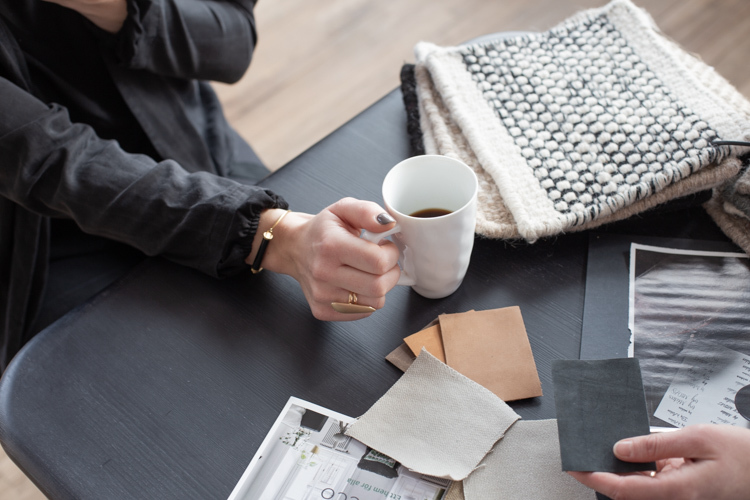 All you need to do is send me a mail and I'll notify you as soon as the interior design service (and website) launches together with a special discount code. The service is available to everyone, pretty much anywhere in the world. 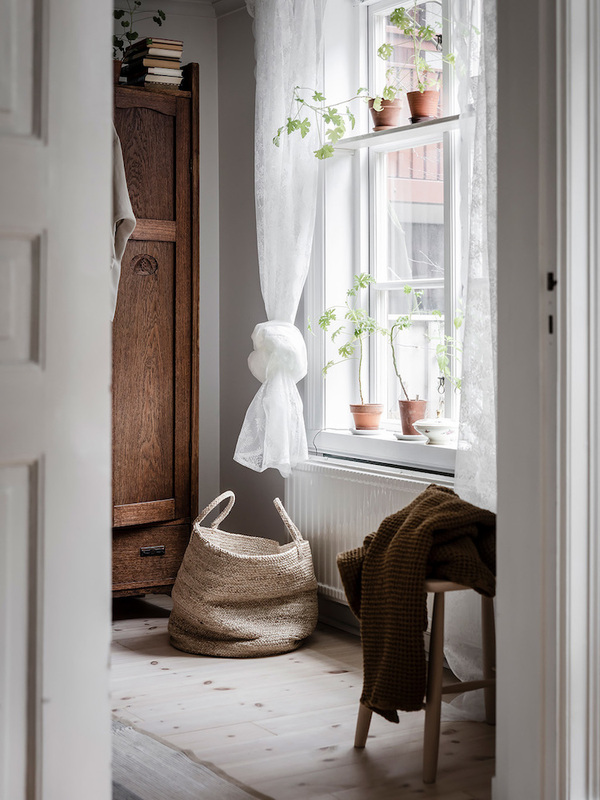 We're so looking forward to helping you turn your home into a beautiful Scandinavian haven, one room at a time! PS Sorry for the radio silence this week, I'm so happy to be back after the holidays. 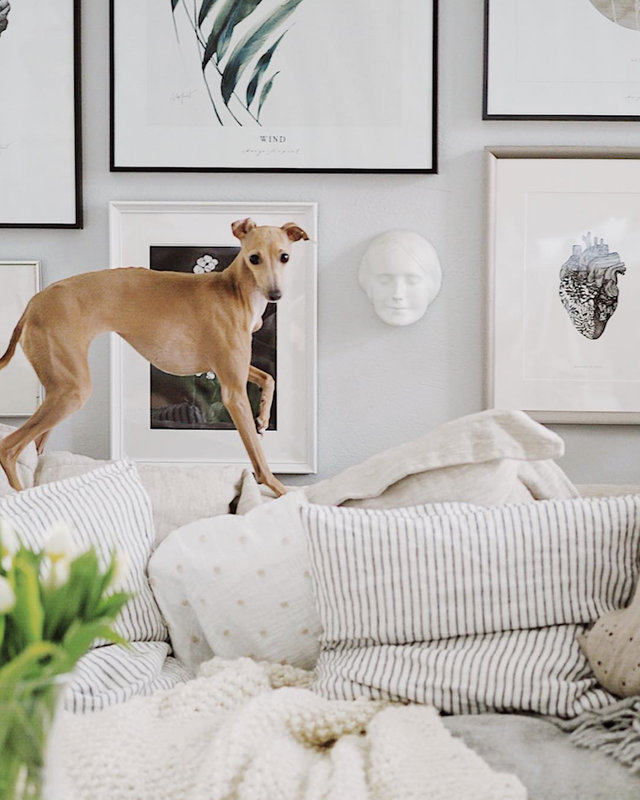 I thought I'd kick off the week with a beautiful home tour - see you tomorrow! 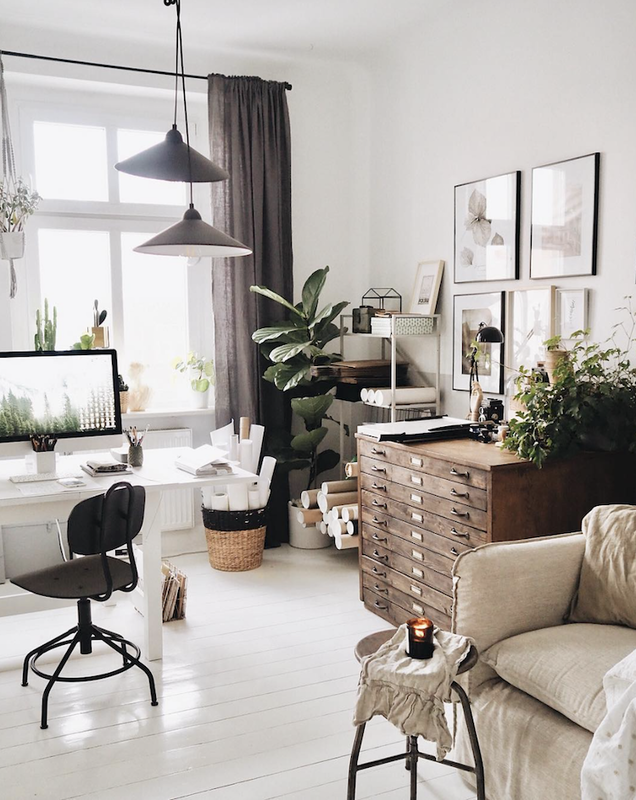 My Scandinavian Home Studio - Room By Room Online Interior Design Help! Guys! I have some exciting news to share with you. 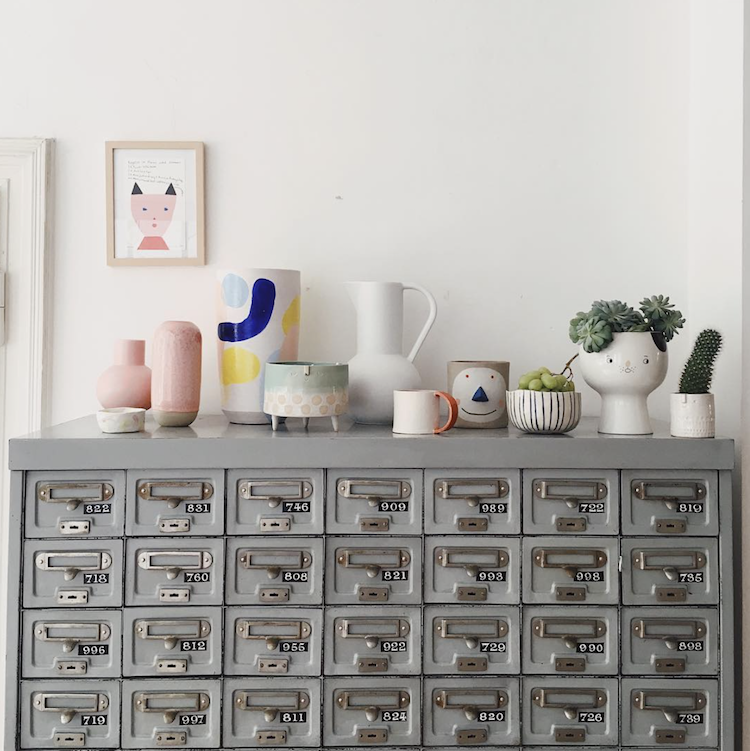 Last January I sent out a survey to find out what you'd like to see more of on My Scandinavian Home - and I received so many wonderful, helpful replies! 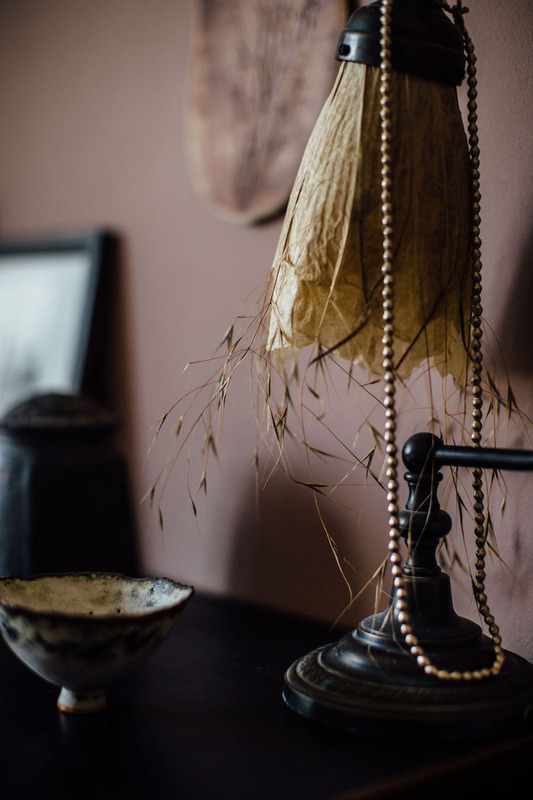 I noticed many said that although you enjoyed the inspiration, you still sometimes feel a little stuck with how to arrange a room, which colours to choose, or simply how to complete the look in a beautiful way (don't I know that feeling!). I also receive a flood of mails each week asking for similar advice. So, I put on my thinking cap. 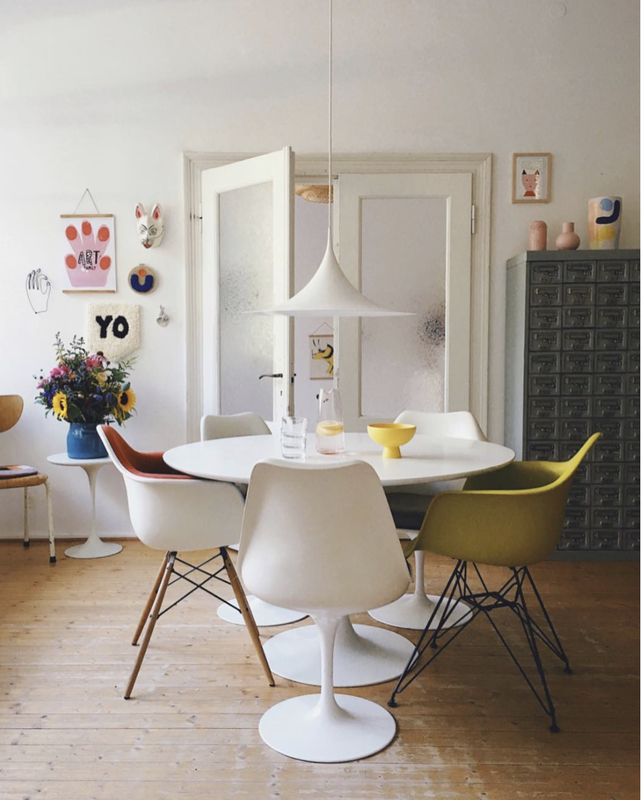 One of the key philosophies of Scandinavian design is that everyone should have access to good design. And I felt the same should be the case with interior design. 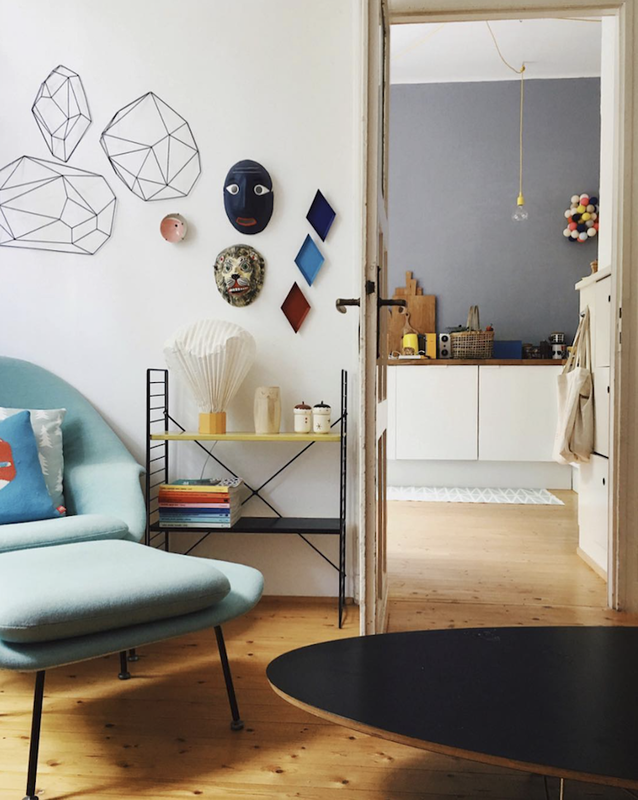 So, I have launched an affordable My Scandinavian Home online interior design service from this fab studio. 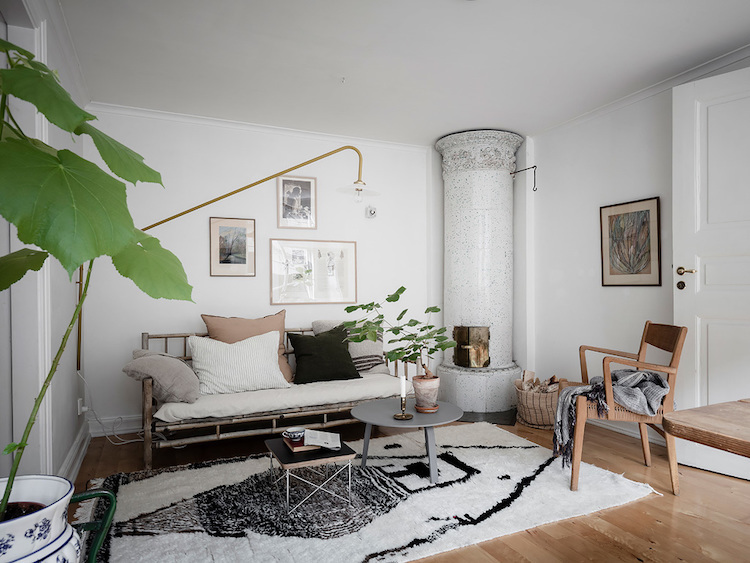 For a small fee, the team of highly qualified, passionate, über talented Scandinavian interior designers are waiting to help you pretty much wherever you are in the world! 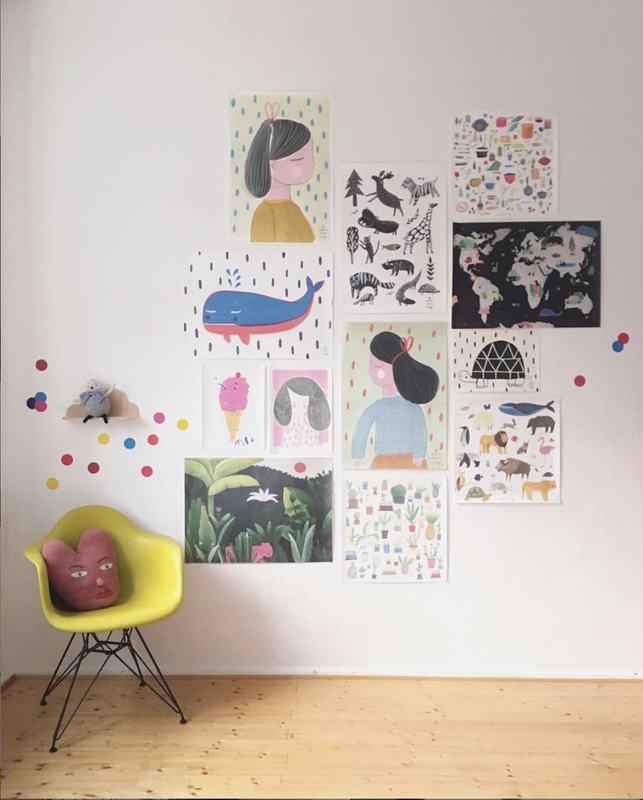 All you'd need to do is visit the studio website, fill in a simple online form about the room you'd like decorate and complete a fun style survey on the bus home from work or from the comfort of your sofa. 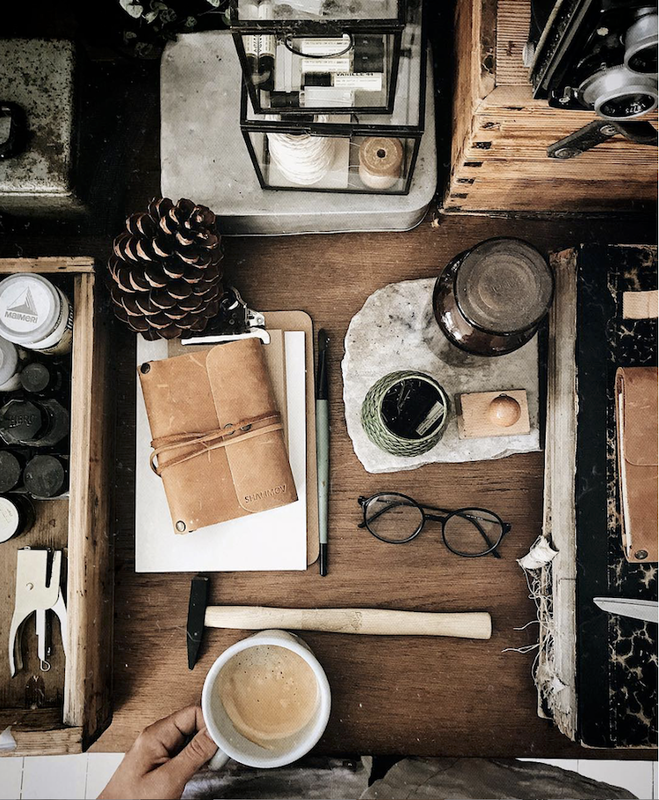 One of the members of the team will then contact you to discuss your needs, before sending you a room layout, mood board and product list (if required) so you can get decorating and create the room of your dreams! I hope you feel as excited as I am! If you are stuck on a room, We're so looking forward to helping you transform your home, one room at a time! PS It's half term in Sweden next week so I am going to be giving my husband and little girls my full screen-free attention - do you think they'll recognise me?! I won't be blogging but I might just sneak on to instagram stories from time to time (yes, I know, but!). I hope you have a really lovely, relaxing week too!